Our 11" LED bracelet features brightly colored LED's built right into the tube of the bracelet. Perfect for wrapping around things at any party for a fun way to add flashing lights to your decorations. Our Tube Multi Color LED Bracelet wraps around any size wrists and will stay there until you take it off. 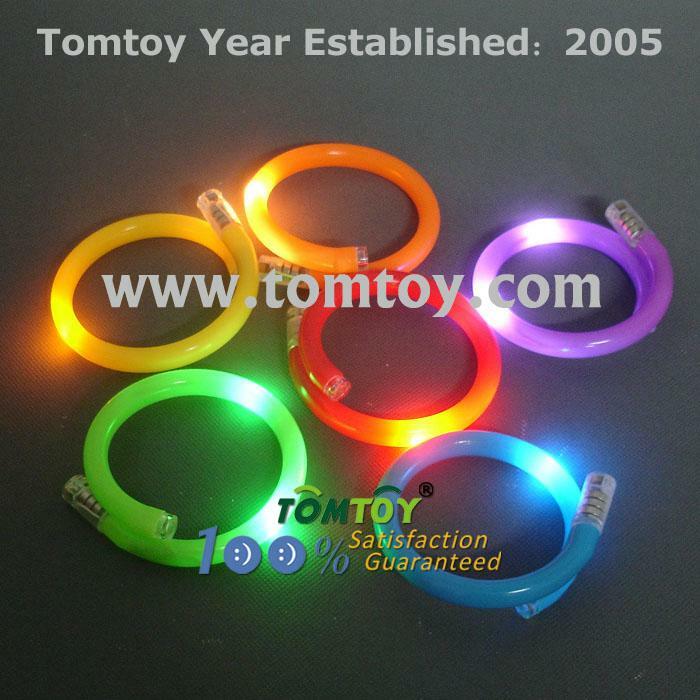 Each multi color LED coil Bracelet comes with 3 AG13 batteries included and installed but cannot be replaced. We designed this bracelet to not close so it has unlimited uses and fits any size wrist. Please leave a message for us for more designed.